I&apos;m not sure at which point having long hair doesn&apos;t work, but I plan on rocking it through my thirties and right on into my forties! I simply find it easier to manage than shorter hair. It&apos;s not like I haven&apos;t tried. I tested short hair in my twenties. It looked like a helmet. Course, wavy/curly hair like mine simply doesn&apos;t love short hairstyles. So, long hair it is. And one of my favorite long hair hairstyles is a side braid. It doesn&apos;t get any easier than this style, and with the right product, it can look so polished. Nothing beats hair that looks like it took longer to do than it did, am I right? 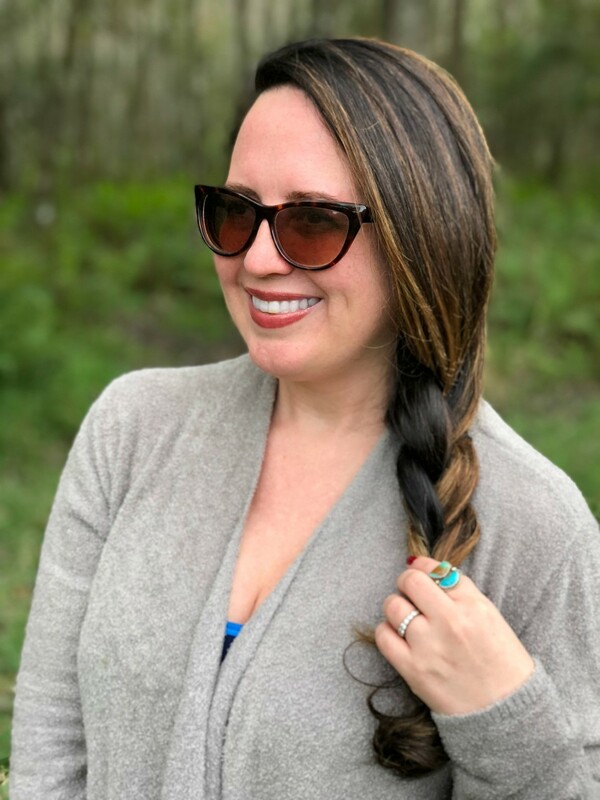 Oh and, on a side note, the side braid is a great way to get one more day out of your blowout. Your hair will still look sleek thanks to the blowout, but you can hide roots that are ready for a wash. Haha! 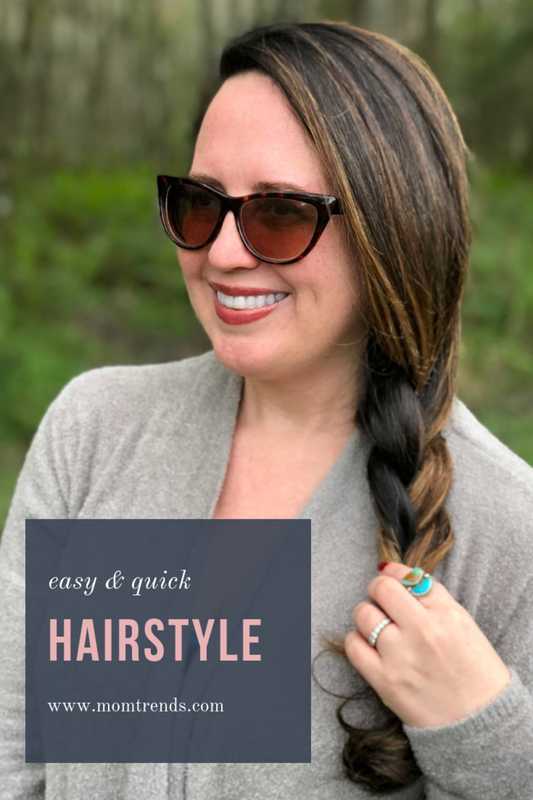 All you need to get this easy hairstyle is to first add a hair plumping product to your roots. If you don&apos;t have at least a little bit of volume around your face, it ages you. That&apos;s the same reason I don&apos;t braid my hair super tightly. A loose, Elsa like braid is where it&apos;s at. 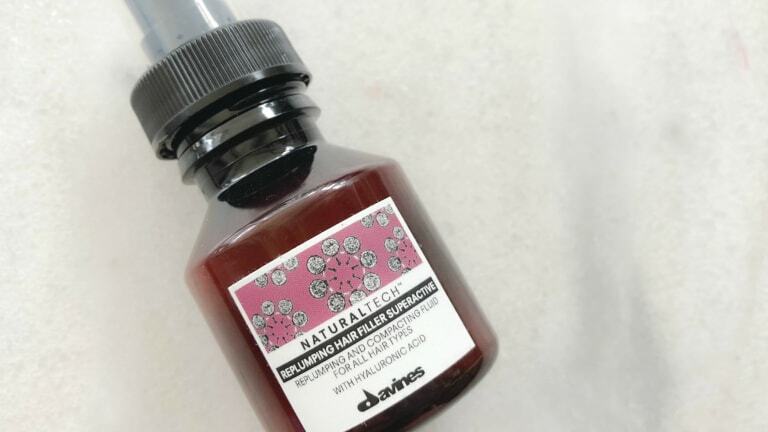 For root plumping, I love Davines Naturaltech Replumping Hair Filler Superactive. 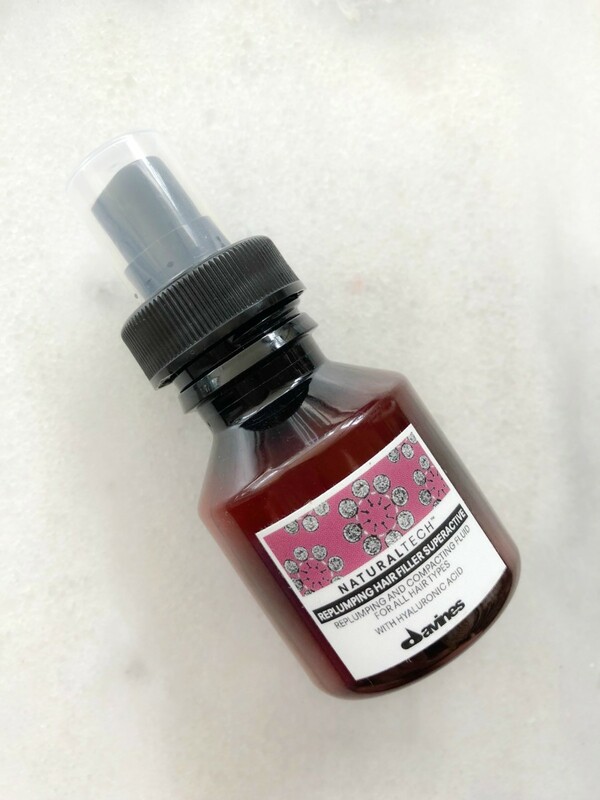 I simply spritz it all over my damp hair because I like a little volume everywhere, but you can just do your roots if you so desire. 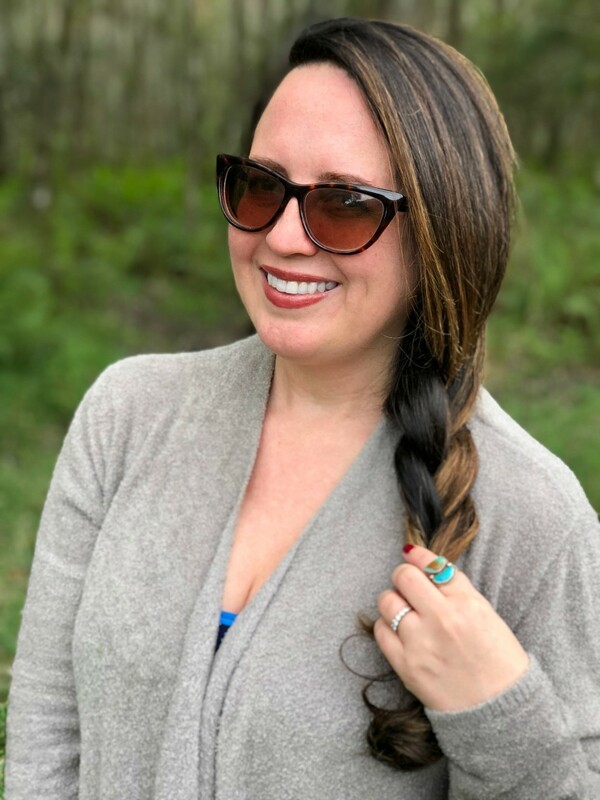 This miracle product gives my hair some heft and makes my braid look thicker, fuller and more youthful! That&apos;s right, this hairstyle will make you look less hot messy AND younger. Score! Hey, anytime I can kill two birds with one stone I&apos;m all for it. Metaphoricaly speaking of course. So, there you have it...the side braid. This easy hairstyle for time crunched moms is a busy mama&apos;s best friend...seriously! And for more time saving beauty tricks, check out our tip for making your skin glow. It requires just one little product! As you can see, I&apos;m a fan of one hit wonders. I&apos;ve said this too many times, but I&apos;ll say it again. This girl does not have time for a routine that requires a million products...especially on school days!